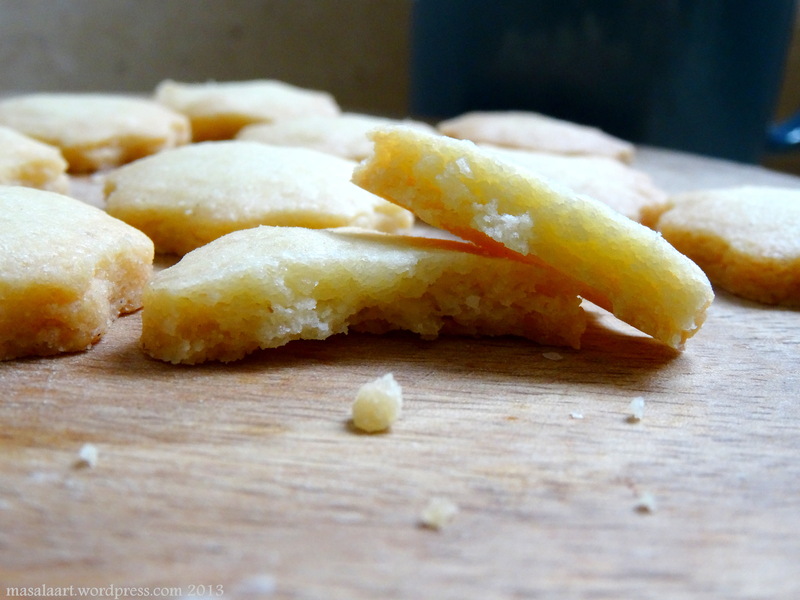 1-2-3 Shortbread Cookies | Easiest Cookie Recipe, No Eggs Required! I kicked off this week with a guest post for Uru’s blog, Go Bake Yourself. I made a lemon-flavored shortbread cookie for her blog, and sandwiched it with Nutella. The recipe was inspired by a basic cookie recipe from Michael Ruhlman’s brilliant book, Ratio. If you are interested in learning more about the science behind baking, please pick up this book. It is pretty darn amazing. The book focuses on cooking via ratios instead of recipes. Ruhlman illustrates how every dish has a ratio at it’s core, and once you understand that ratio, you won’t need to refer to a recipe. A classic example would be a pound cake, which combines a pound each of butter, sugar and flour to create a moist and fluffy cake. In the book, there are similar ratios for other baked goods, breads, pasta, sauces, stocks and meat. These ratios can really free you up in the kitchen and give you room to experiment. This recipe, the 1-2-3 cookie, uses a ratio of 1 part sugar : 2 parts butter : 3 parts flour. While it is a forgiving dough overall, don’t be fooled by the simplicity of this cookie. I’ll tell you why. The list of ingredients and the way they are combined may seem simplistic; almost docile; but you need to treat that dough with love. 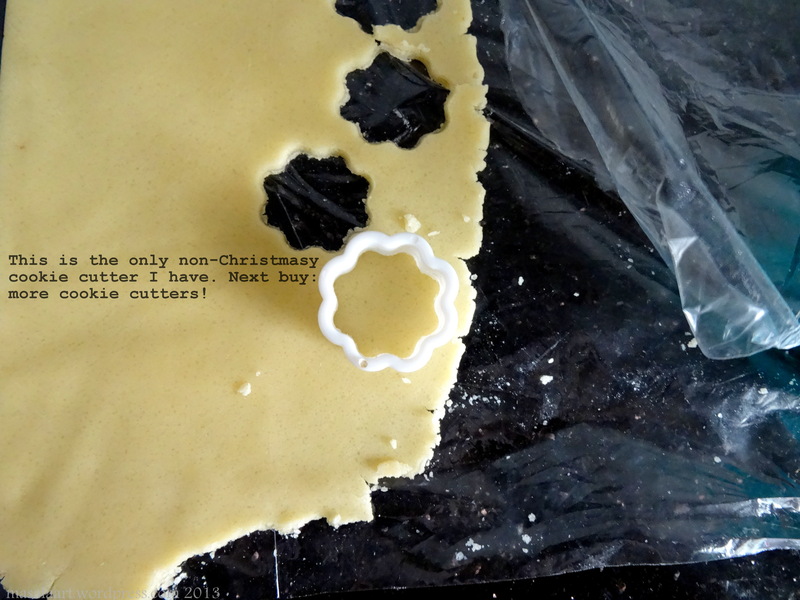 I have made shortbread many times, and there were times when I didn’t rest the dough long enough in the fridge, resulting in a toothpastey dough which stuck to my fingers. Let it rest for a minimum of 30 mins to an hour, longer if required. Most recipes I have come across will tell you to roll out the dough on a floured surface, but I actually like rolling it between two sheets of plastic wrap. 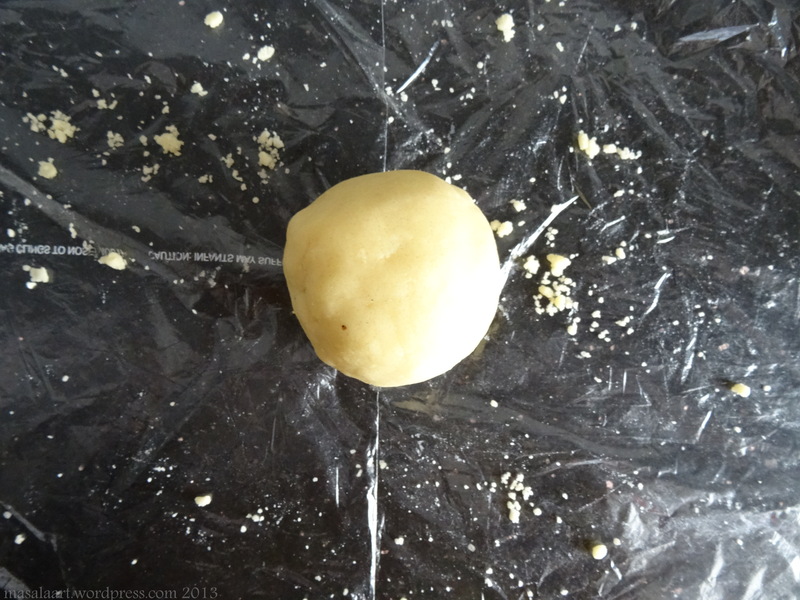 Another method I’ve used is chilling the dough in a plastic baggie, rolling it out in the baggie, then ripping open the baggie when it’s time to cut out shapes. I kind of blame the humid conditions here in Mumbai- it becomes rather difficult to roll stuff out on a granite surface. And slicing open the ends of the plastic baggie with a sharp knife gives me this strange surgical-precision kick, even though I never ever cut neatly. Now, normal people would press down the ball of dough, allow it to chill and roll it out into a large circle. I prefer rolling it into this half-moon shape because I find it easier to cut shapes with my rather small cookie cutter. It is just easier to maneuver. I am getting bored with this cookie cutter shape. I need to buy some hearts and stars. All you need to do is pop them in the oven at 180C for about 10-15 minutes and you’re done! 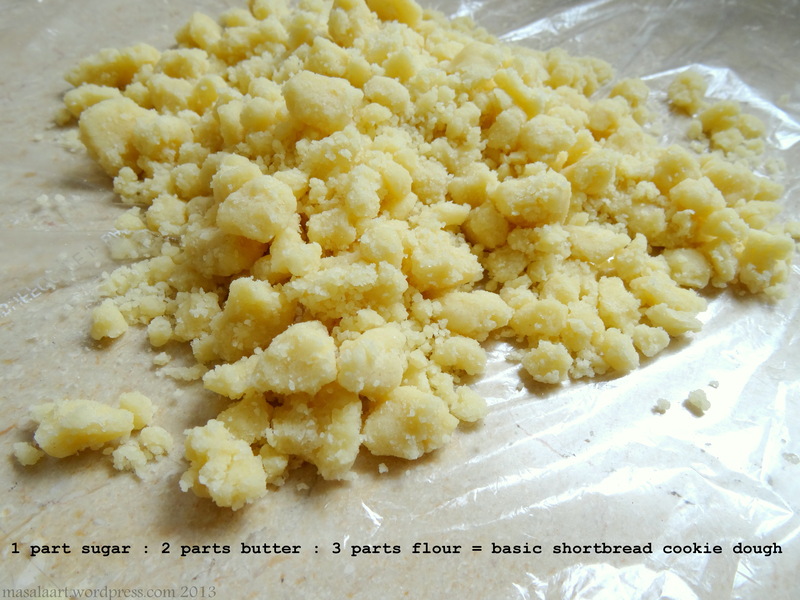 In a bowl, cream the butter and sugar together until the sugar is evenly distributed and the mixture turns pale. Fold in the flour little by little and mix until a uniform dough is formed. Shape the dough into a ball, press down into a thick disc, wrap in cling film/plastic wrap and chill in the refrigerator for 30 minutes to an hour. 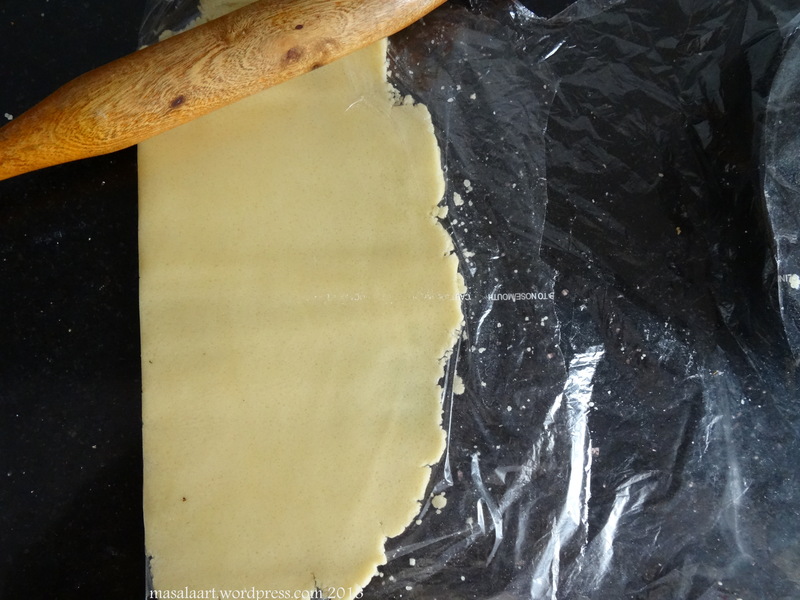 Once chilled, roll out the dough on a floured surface OR between two sheets of plastic wrap. Roll to a thickness of about a quarter of an inch thick. Cut into shapes using a cookie cutter, place on a baking tray and bake at 180C for 10-15 minutes; or until the edges turn light golden. 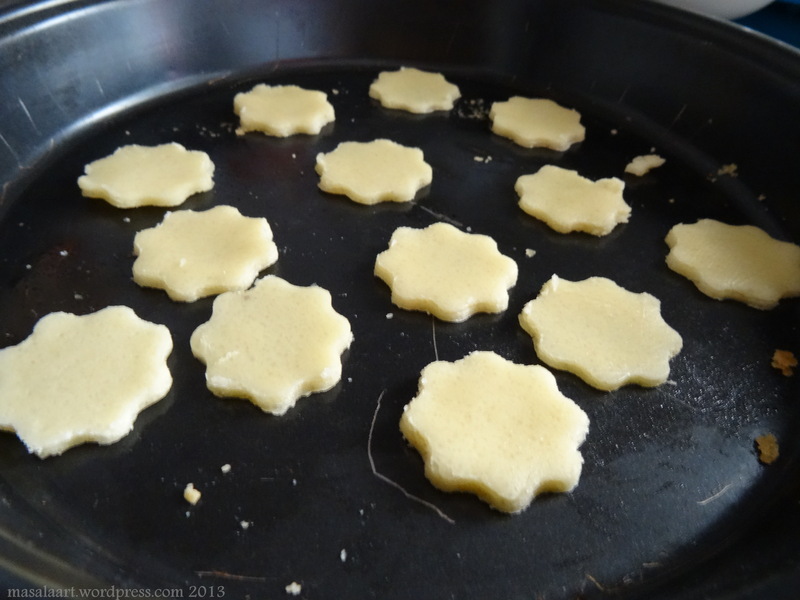 « Shortbread Week + A Guest Post For Uru! In the basic pound cake recipe you mentioned, you forgot an ingredient! It also needs a pound of eggs. Yum!!! I love shortbread!! I just did caramel cookie bars last week with a shortbread base and the dough is just SO simple! Love it. 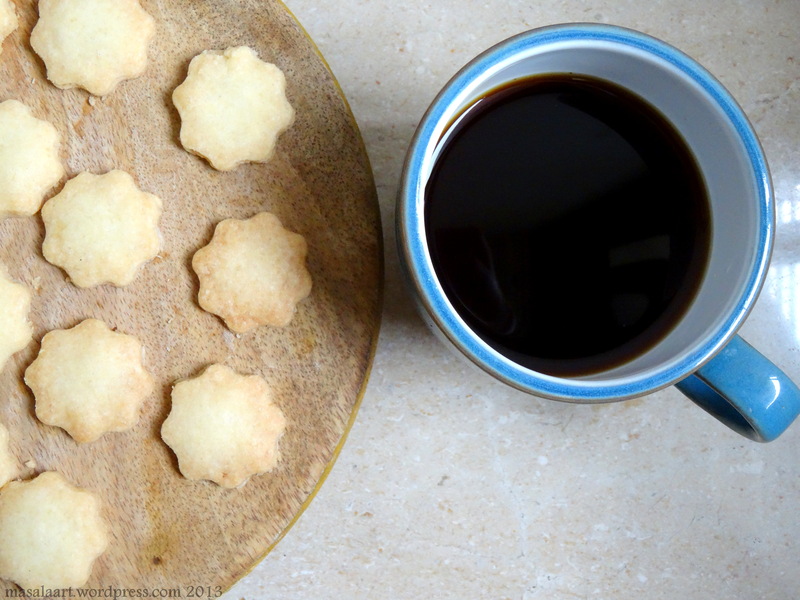 What fantastic shortbread cookies! Shortbread cookies always remind me of the holidays, when my family would make huge batches to share with extended family and friends.